MIRA Books announced today the official launch of Park Row Books, an exclusive line of thought-provoking and voice-driven novels by both celebrated and new authors. Park Row Books will be led by Margaret Marbury, Vice President, General Fiction Editorial, and Erika Imranyi, Executive Editor. Park Row Books will publish unique voices and powerful stories that inspire discussion. Inaugural titles are slated for release in summer 2017. The name Park Row Books was inspired by the landmark street that runs through downtown Manhattan and ends at the Woolworth Building, the former home of Harlequin’s New York office for many years. Once known as “Printing House Square” and the location of many of New York’s major newspapers, Park Row has a rich heritage of fostering free expression, creative ideas and important voices. The launch title for Park Row Books is the blockbuster debut novel The Improbable Flight of Ginny Moon by Benjamin Ludwig, which Park Row acquired in a significant preemptive deal. The highly anticipated novel follows a recently adopted teenager with autism who is desperately plotting to get herself kidnapped by her birth mother. Told in an extraordinarily fresh and wholly unique voice, The Improbable Flight of Ginny Moon is a compulsively readable and unforgettable story about finding a place to belong in a world that doesn’t always add up. It will be published around the world in 11 territories and counting. Park Row Books will also be home to the much-buzzed-about new novels by New York Times bestselling authors Mary Kubica and Heather Gudenkauf. Kubica’s book, a psychological thriller about a young widow’s pursuit of the truth in the wake of the devastating crash that took the life of her husband, takes readers inside the dark, twisted corners of a psyche plagued by grief. Her first novel, The Good Girl, has sold over half a million copies and has been published in two dozen territories worldwide. Gudenkauf’s next book, a high-concept crime thriller about a protagonist with profound hearing loss, features the bestselling author’s most compelling heroine to date. Gudenkauf’s first novel, The Weight of Silence, was an instant New York Times bestseller, spending 22 weeks on the list. Other exciting titles forthcoming from Park Row Books include When I Think of You, from award-winning journalist and bestselling author Karma Brown, exploring how a woman’s life falls apart over a random act of courtesy; Hanna Who Fell from the Sky, a breakout literary novel set in the fascinating and unknown world of a polygamist society from award-winning Canadian author Christopher Meades;Undertow, by British journalist Elizabeth Heathcote, the much-buzzed-about debut domestic thriller in the vein of The Widow; and a new novel from Phaedra Patrick, the author of wildly acclaimed The Curious Charms of Arthur Pepper, that follows a down-on-his-luck jeweler whose life is changed when his estranged teenage niece makes a surprise visit to his quiet village. Agents with manuscripts that feature strong, unique voices and groundbreaking content with mainstream appeal may send material to Erika Imranyi or Park Row Books editor Liz Stein. MIRA Books is an imprint of Harlequin and features a lineup of some of the bestselling authors across North America as well as industry-anticipated debut authors. MIRA Books is committed to publishing the very best in commercial fiction, including women’s fiction, suspense and psychological thrillers, literary bestsellers, and historical. In 2015, 24 MIRA Books titles placed on bestseller lists (New York Times, USA TODAY and Publishers Weekly) for a total of 194 weeks. 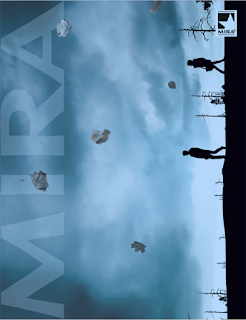 MIRA publishes approximately 100 books per year in hardcover, mass-market and trade paperback formats. Harlequin (Harlequin.com) is one of the world’s leading publishers of books for women, with titles issued worldwide in as many as 34 languages and sold in up to 102 international markets. The company publishes more than 110 titles monthly and more than 1,300 authors from around the world. Harlequin is a division of HarperCollins Publishers, the second-largest consumer book publisher in the world, and has operations in 11 countries. For more information, please visit Harlequin.com and Facebook.com/HarlequinBooks. Follow Harlequin on Twitter: @HarlequinBooks.